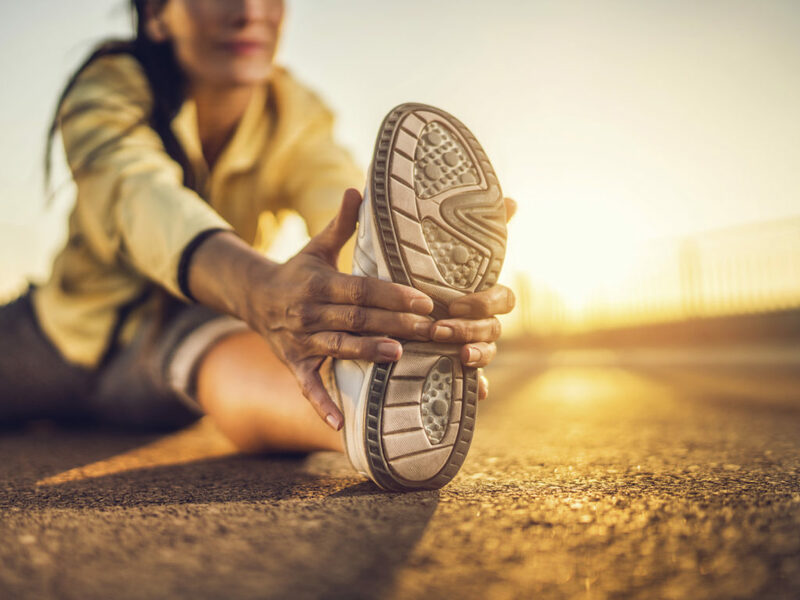 While stretching before vigorous exercise is commonly advised, there are a myriad of benefits to be had by adding stretching to your daily routine. Stretching improves flexibility and posture as well as increases the blood and nutrient supply to muscles. The act of stretching also has uplifting perks similar to meditation when done thoughtfully and slowly. For athletes and those preparing for physical activity, stretching is crucial for injury prevention and muscle repair. Something that isn’t frequently discussed is that stretching cold muscles can actually cause injury. Experts suggest a 5-10 minute warm up which can be from light activity such as walking or jogging. Taking the time to warm up increases the blood flow to both muscles and tendons and prepares the body for more intense movement. After warming up and stretching, the body is then ready to go to the next level of exertion. Although stretching is regarded as a simple routine that everyone should include in their lifestyle, proper execution is required for maximum effectiveness. There are many books and stretch dvds that teach stretching techniques in detail and would be practical for a person who requires visual instructions. Once the basics are understood and mastered, they can be performed every day and become a way to boost positive energy and emotions through a healthy body. A common misconception is that stretching is only required before a workout but fitness experts suggest taking the time to stretch during and after a workout. In the midst of exercise, muscles tire out and stretching will realign the pathway from the mind to the muscles. This results in better coordination to complete the workout safely. Stretching after a workout is known as the “cool down” and for good reason. The muscles are warm and as they cool down, stretching encourages blood circulation which helps the body to recover from exercise faster. It protects the joints by reducing any built-up tension and also reduces post-workout cramping. Stretching as a way to manage stress is sometimes referred to as relaxation exercise. Stress restricts blood flow which is what causes tension in the neck and back muscles. Stretching gets the blood flowing and lengthens the tense muscles resulting in the body becoming loose and relaxed. A relaxed body has calming effects on the mind and provides body awareness throughout the day. It is critical to note that there are things to avoid and be cautious of when performing stretches. Stretching shouldn’t hurt and if it does, this could indicate that it is being done too intensely. Slow and steady is the best approach and if anything, muscles may feel tight but shouldn’t hurt. Stretching techniques should be evaluated if there are any signs of major pain. The act of stretching should be gentle with no sudden movements or bouncing. Similar to the techniques emphasized in yoga, breathing during stretching is very important. Some people subconsciously hold their breath while stretching which ironically causes more tension to the muscles. Incorporating stretching into your life will improve your overall health and well-being and help you tackle each and every day with balance and dexterity.